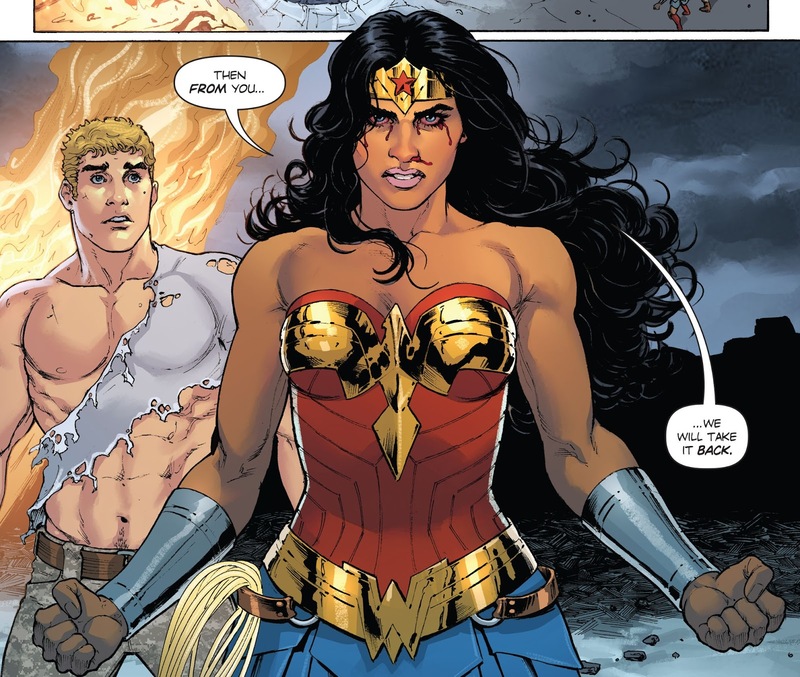 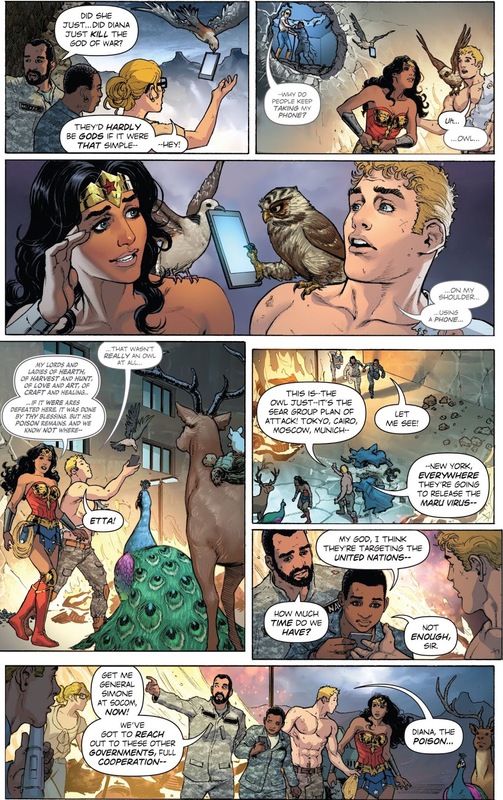 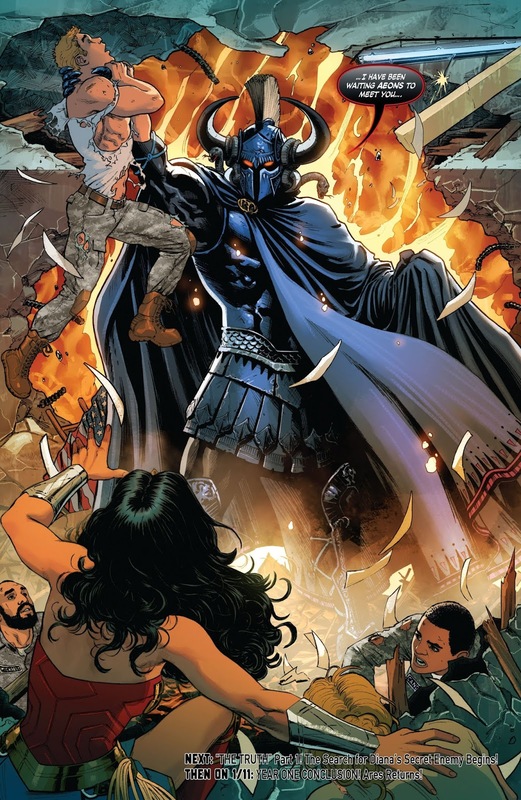 I loved Wonder Woman Year One, the current (Rebirth) origin story of the titular character, now with more Steve Trevor beefcake! 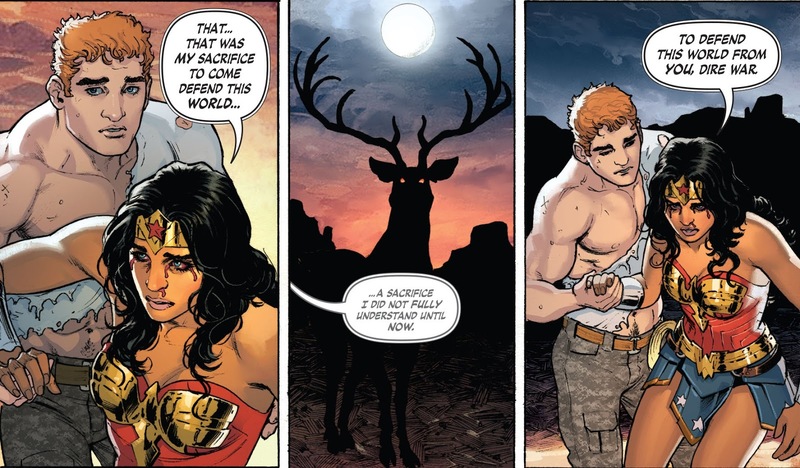 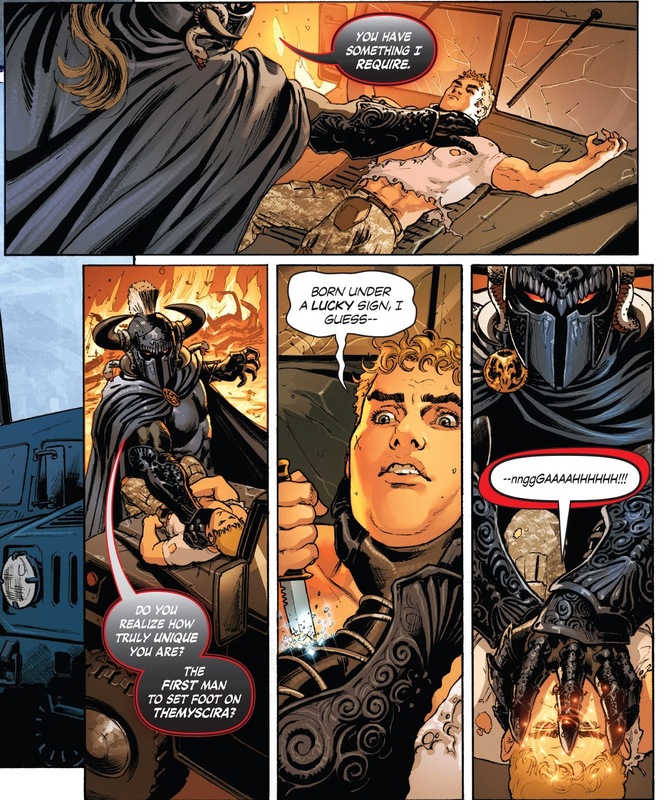 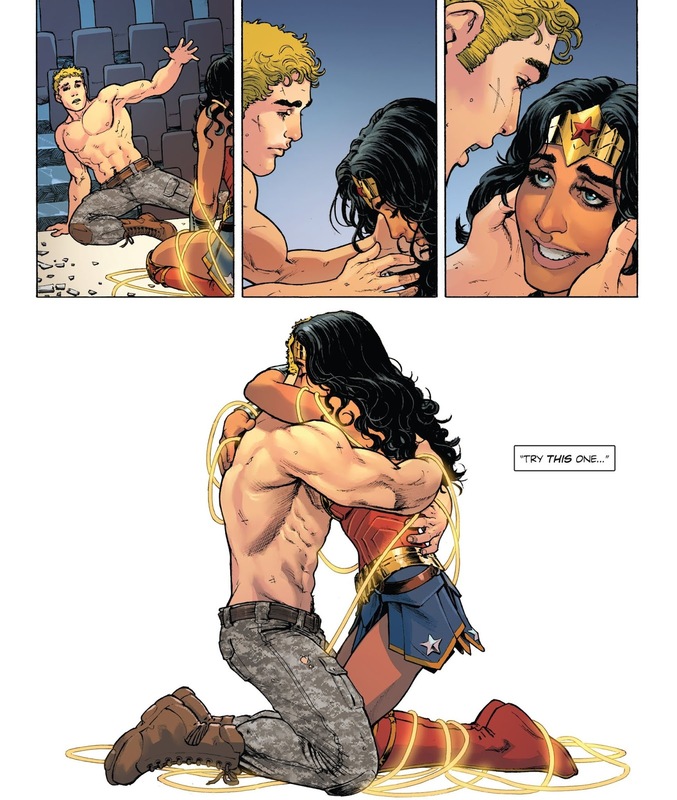 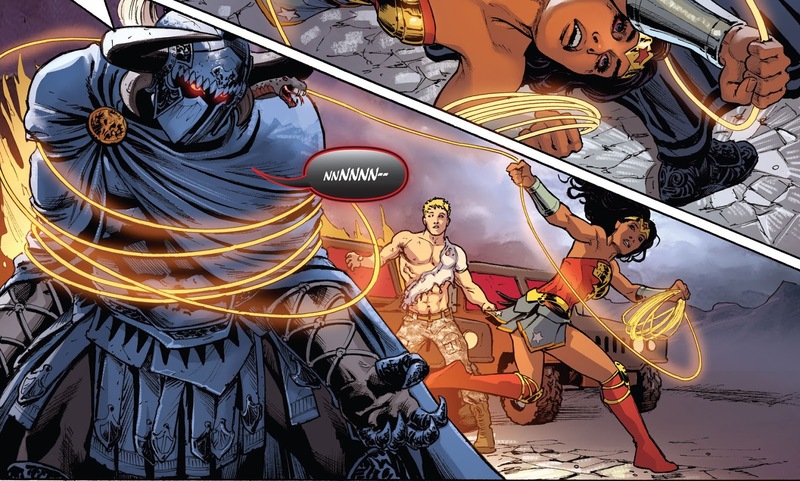 Wonder Woman #12 & 14 gives us our last dose of shirtless Steve as drawn by Nicola Scott. 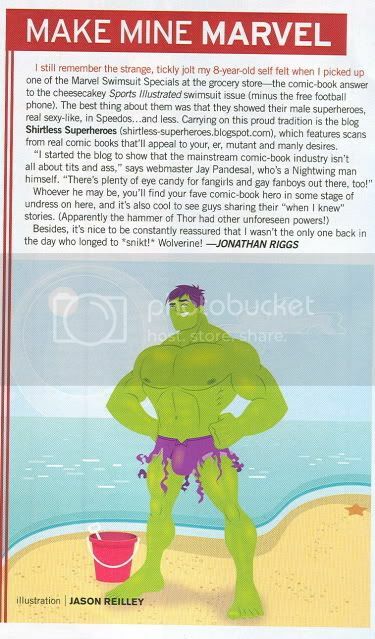 I love how he's unapologetically the main source of fanservice in this book. 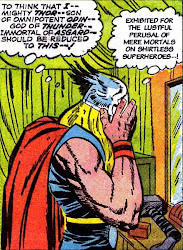 They always find a way to get his shirt off!